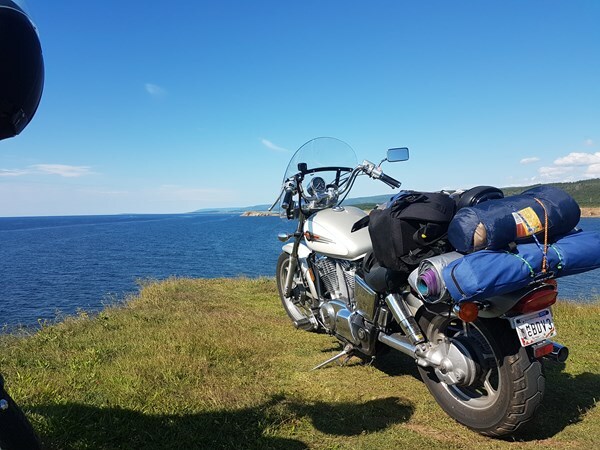 One of the first spots we pulled off the Cabot Trail for. A gravel road led past an old cemetery to this point. A very nice beach is to the right.